Turn off the telly, hide that microwave meal – it’s time to forget the winter blues and resurrect your inner child. The secret of adapting a well loved children’s classic is almost certainly not to tinker with the original too much. 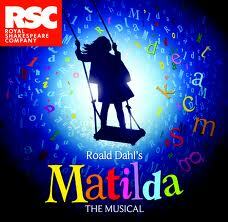 The addition of music and dance adds an extra dimension to Dahl’s masterpiece, bringing it bang up to date from the opener as the obnoxious kids sing of how “My Mummy thinks I’m a miracle.” Having not read the novel for quite some years, I’d strain to notice what had been edited out (apart from my favourite phrase that Matilda’s parents thought of her as a scab, that they could’t wait to “pick off and flick away”) – but you can’t have everything, and the tone of the original is expertly captured. The children are suitably flawed and naughty, the parents are brilliantly brash and the trunchbull is a thundering terror. The costumes are reminders of Quentin Blake’s illustrations, which were always inseparable from the Dahl stories. As the headmistress from hell Bertie Carvel manages, with his hunchback, slightly flicked back hand (and scarily feminine legs in a pleated gym skirt) to keep away from the drag queen and stick closer to the classic cartoons. It is the combination, however, of the cheeky lyrics and music, the staging, choreography and styling that really makes this show a triumph (when you pick your jaw up from the floor after the alphabet song you’ll see what I mean). It may be a child-centred show, but this is an intelligent tale about intelligent people, just packaged in gift wrap for the under fives. The kids are the centre of this production and do a great job of holding the stage. There was a star solo from Zachary Harris as Bruce Bogtrotter, and they all work together brilliantly with choreography that is impressive without having drilled the joy out of their performances. Dancing on the desks is reminiscent of a juvenile Spring Awakening, and there’s a sense of Spelling Bee too – two modern musicals that it would be hard to get enough of. Original, moving and funny – London Road brings together testimonies about the effect of the Ipswich murders, showing how shoots of a new community sprang from the remnants of the tragedies. Even at its most basic, this is an unusual subject matter – murders are often explored in drama, but rarely do we hear from neither the victim or the perpetrator, and rarely are the true stories that make it to the stage so recent. Alecky Blythe has used a technique of creating the book and lyrics from original recordings of the local community. Taking the accounts, cutting and selecting pieces to weave together a tapestry of events, comments and opinions from those who lived on the same road as the murderer, the end result shows how they were affected by the events of that winter in 2006. Whilst all of the words are taken verbatim -no ‘ums’ or ‘ahs’, awkward pauses or mis-spoken phrases are omitted – there is undoubtedly still an art to creating this dialogue. Individual phrases are repeated, sometimes by several actors, and even as they are repeated different tones, speeds and inferences are given, showing just how much licence can still be used within the confines of this technique. The end result is both surprising and perplexing, forcing some questions from the audience as they inevitably begin to ask where reality ends and fiction begins. This is not only an interesting concept, but a great piece of entertainment. In taking a collection of really open and honest points, it becomes not a story about murders but about humanity and community – whilst the cameras are focussing on the site of the latest front-page filler, what is happening to the people who live next door, in that house just out of shot? What happens when the cameras leave? Does life carry on, everyone getting on as normal, or are the effects deeper? Could you ever sell your house if it turned out that a serial killer had lived next door? The broken speech and lack of a PR-veil over events is what helps to make this play so refreshing. It’s interesting, and at times genuinely funny to hear the real reactions of real people caught up in the chaos. For all of the horrors of what had occurred and all of the temptation to remain remarkably PC about the whole thing, it’s great to be able to see the human side – the kids who think that all of the commotion is exciting, the guy down the pub who turns out to be a causal expert on serial killers, and the residents who admit to being happier since it happened, as now that there’s no more soliciting on their street. This production attracted the usual ill-informed outrage at its opening, but its quick subsidence and the enduring appeal of the play (it’s run was recently extended) are testimony to the fact that it is executed sensitively, not ignoring the violent and abhorrent crimes, but simply throwing light on the other side of the reported news. There was even an audience collection at the end for a charity that helps prostitutes in the Ipswich area, which not only brought the real issues to the forefront, but managed to further blur the line between fact and fiction. It’s wonderfully put together, fantastically acted, innovatively staged and only on until the 27th August. You won’t see anything else like this for a while. Get your skates on and head to the Cottesloe, you won’t regret it. Tickets for London Road are on sale at the National Theatre’s website – we managed to get some slightly restricted view returns in person on the day for only £12. Bargain.